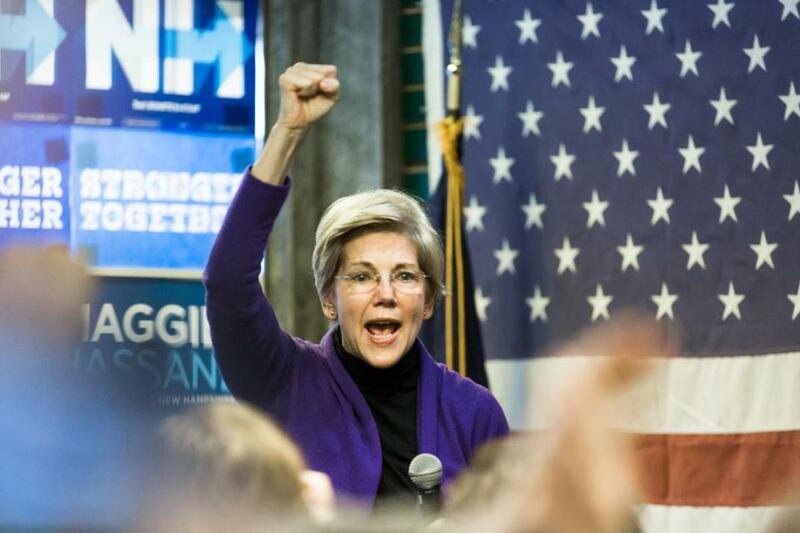 Elizabeth Warren campaigned for Hillary Clinton in Rochester, N.H., on Nov. 5. WASHINGTON — Compromises made during passage of the Affordable Care Act and the 2009 economic stimulus package left Democrats with insufficient bragging points for the 2016 presidential contest, Senator Elizabeth Warren told a group of liberal political contributors during a closed-door meeting Monday, according to two people in attendance. Democrats need to do a better job showing voters that they are fighting for the “little guy,” Warren told the private group, called the Democracy Alliance, which met in Washington to dissect Democratic failures after Republican Donald Trump’s surprise victory last week. Warren’s remarks were made in the larger context of seeking to rally Democrats, and the progressives supporting them, to fight harder for policy wins in the economic sphere, the two people said. Her comments come at a crucial time for the Democratic Party, as leaders and rank-and-file members are struggling on how to chart the best course through the next few years when the White House and both chambers of Congress will be controlled by the Republican Party. The three-day “investment conference” convened by the Democracy Alliance is just one of many venues in which the soul-searching and strategizing will take place in the weeks and months ahead. Founded in 2005, the Democracy Alliance describes itself as the largest donor network focused on furthering progressive causes. Its ranks include liberal billionaire George Soros and it is currently run by Gara LaMarche, a longtime associate of Soros. Warren’s diagnosis of 2016 election result was that Trump won because his “I will fight for you” and “I will fight for the little guy” message rang through to voters, and convinced them, the attendees said. She told the gathering that Trump win “is the biggest con job in American history,” one Democratic activist there said, paraphrasing her remarks. This person said that Warren described Trump’s transition team as full of people who were either part of the cause of the financial crisis or professional lobbyists. On the Affordable Care Act, Warren said that while she has defended the law as much as anyone, it was not bold or transformative enough, the attendees said. Fewer than 3 percent of Americans get their insurance through Affordable Care Act, she noted. The health law ultimately did not contain a “public option,’’ such as a Medicare-style federal plan that would have competed directly with private insurance companies on the health insurance marketplaces in each state. Many liberals in Congress believed such an option would have vastly improved the health law, but centrist Democrats in the Senate ultimately scuttled it. Warren said that was exactly her point. Democrats should have said: here are three big things that will impact the lives of working Americans that we will accomplish with the stimulus, she said, according to the attendees. “It was a call for Democrats to fight with boldness and backbone so that voters don’t get conned into voting for someone like Trump again,” an attendee said.